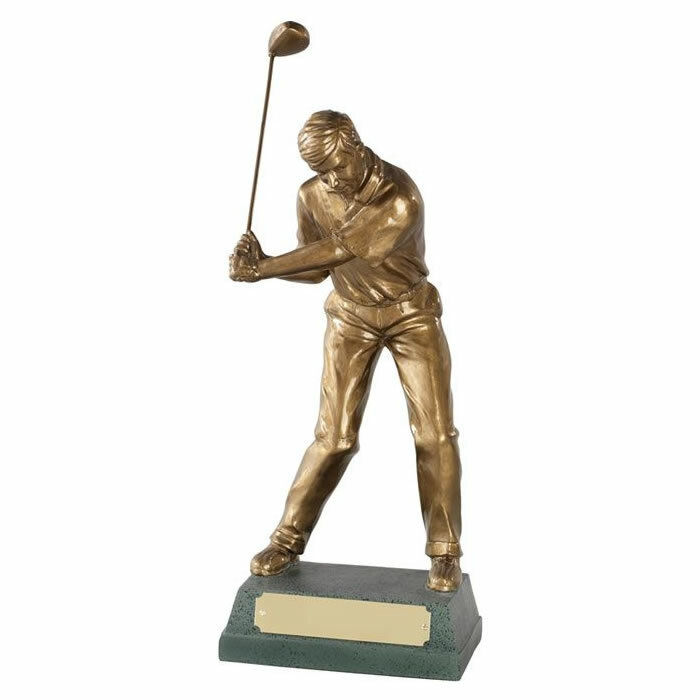 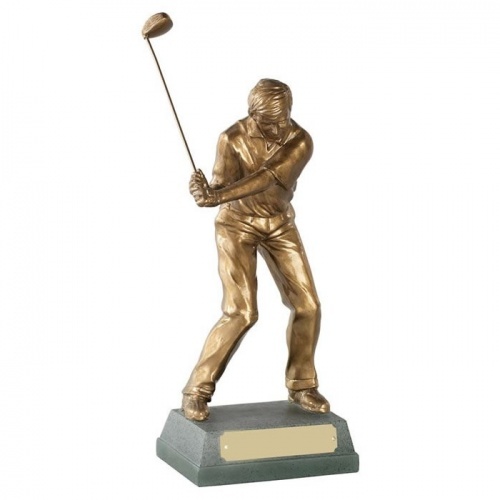 These Mid Swing awards are ideal as golf clubhouse trophies or prizes for a variety of golfing achievements or events. 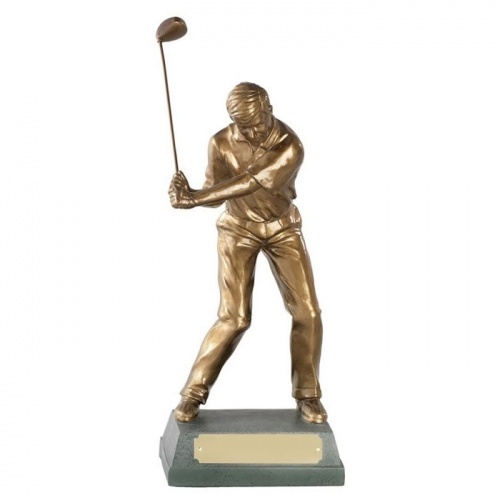 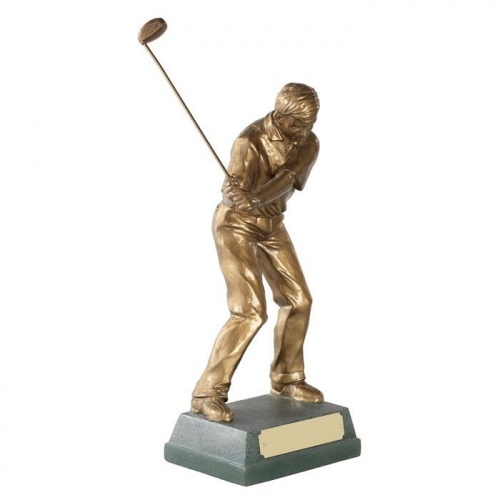 Available in four size options, they feature a detailed resin figure of a golfer in mid swing pose, with an antique gold finish and set on a green slate effect base with engraving plaque. Offered with low cost engraving of the base plaque.